Police have already applied for the extradition of Mzwakhe Memela, 38, to Thailand, a process which would take two to three weeks to complete, he said. Surachate credited the arrest of suspect within 48 hours of the victim’s body being discovered to the cooperation between the world’s police forces, “which also saw them attending the Thai Immigration Bureau’s ‘coffee talk’ once a month”. On Monday, Thai police – on learning that Memela had fled to Hong Kong – coordinated with Interpol and Hong Kong police in an effort to locate him. Memela is accused of killing businesswoman Susama Ruenrit, 35, from Kanchanaburi, as he was seen in security-camera footage leaving her hotel room on Sunday morning. Her lifeless body – having suffered blunt-force trauma to the head – was later found at noon on Sunday by hotel staff in the room on the sixth floor of a hotel on Soi Lat Phrao 130. Although the motive for the killing and the suspect’s relationship to the victim are still under investigation, police suspect Memela went to cut a deal involving jewellery but, when negotiations went wrong, he struck and killed her. Meanwhile, Susama’s grief-stricken parents and relatives are hosting a funeral for their daughter at Wat Thewasangkharam in Mueang Kanchanaburi, ahead of her cremation rite on Thursday. The victim’s father, Prapreut Ruenrit, 63, recalled that Susama had left home on Saturday night to deliver an expensive jewellery item to a customer, whom she likely would be meeting at the hotel. 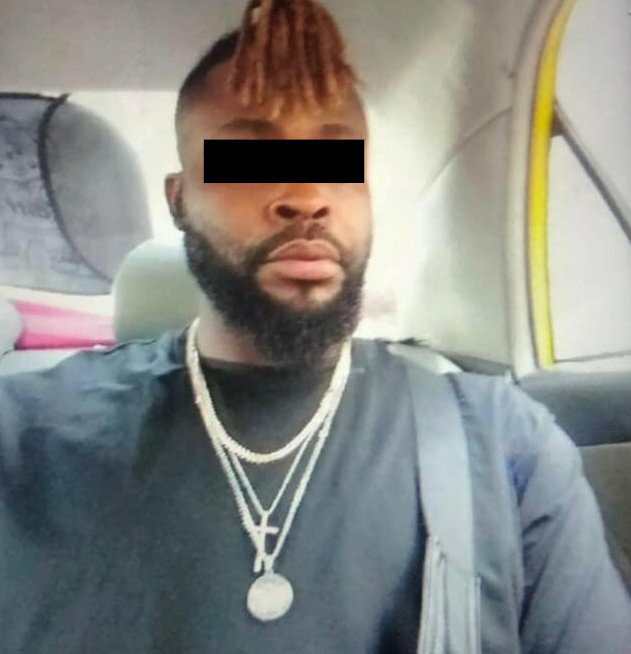 However, he was shocked to be contacted by police on Sunday and discover that she had been killed, reportedly by an African man, whom hotel staff said used to stay at the hotel sometimes, too. Prapreut said Susama was married to a Nigerian, with whom she had three children – six-year-old twins and a four-year-old boy. Her husband and their youngest son are currently in Nigeria, he added. As the family business is gem-dealing and producing decorative items to order, he said he suspected that the African suspect in the killing, whom he assumed to be the customer, had ordered many pieces before earning Susama’s trust. However, he did not know what had gone so wrong that it had apparently led to his daughter’s murder. The father also said that Susama’s valuables worth Bt700,000, including more than Bt200,000-worth of gold necklaces and cash, were missing from the scene of the attack. unfortunately they'll have to take the death penalty off the table before Canada will extradite..
Maybe someone will explain to him that the incidence of robbery murders is quite high in South Africa. As a matter of course, or because the victim could identify the perpetrator. Not really, a life sentence in a Thai prison would be worse. Although foreigners tend to serve 8 years of a life sentence before being transferred to a prison in their home country. How does this guy get captured immediately in a foreign country almost immediately, yeti red bull boy is still running around partying? Well done to the Police in all Countries involved. That guy would have been better off signing on an illegal fishing vessel in the Gulf for a year or so. RedBull boy probably doesn’t have an easily identifiable ridiculous looking tuft of hair growing out of his forehead. ....RedBull boy has wings though! Another sample of a classy very good man that comes to Thailand to spend his high earnings and share his great mind(very well hidden) with the Thai people. So his name is Memela? In the other report that was his fake name in the passport. Condolences to the grieving family. May she rest in peace. At the very least they have the suspect and if guilty he will pay for the crime. ...and a rich, influential family maybe? That's more than the RTP were doing.